Cooper Lighting Cruze™ Metalux™ Collection Standard LED luminaire features cold-rolled steel housing, flat white steel door and reflective white enamel finish. Dimmable luminaire in square shape, uses 34.4-Watt lamp that has voltage rating of 120 - 277-Volts. Lamp in the luminaire has color rendering index of 85 CRI and color temperature rating of 3500K to ensure optimal light level in the surrounding. Lamp has average life of 60000 hours. Lamp offers 3400-Lumens of bright light output. Luminaire comes with driver that uses 0 - 10-Volt control signals to control dimming functions. It measures 24-Inch x 24-Inch x 3-1/4-Inch. Ribbed frosted acrylic lens shade creates soft light to the surrounding. 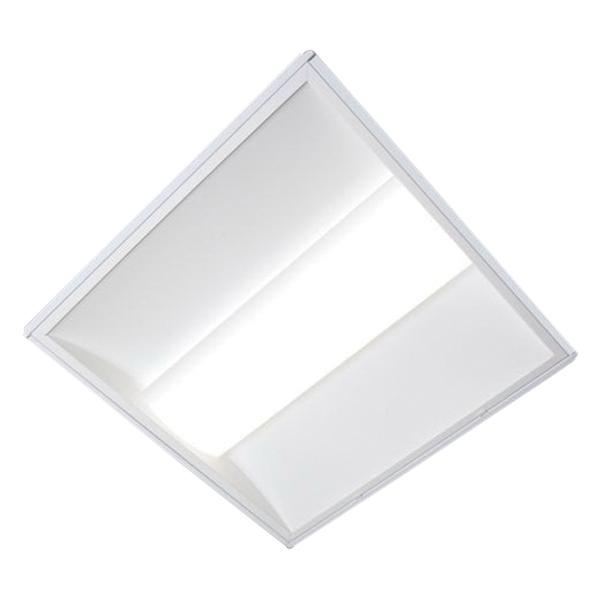 Ceiling mountable luminaire is ideal for commercial office spaces, schools, hospitals or retail merchandising areas. It withstands ambient temperature of 25 deg C. Luminaire is UL/cULus listed, RoHS compliant and IC/NOM certified.